While the plain pastels of pink, blue, and green are lovely, printed bridesmaid dresses are having a moment. According to Pinterest, there's been a 50% increase in their popularity, and we all know how this platform leads the charge when it comes to wedding trends. We can understand why this is a growing option: Not only do they make a bridal party look more interesting (buh-bye, cookie-cutter wedding pictures), but they're usually way more useable post-nuptials, meaning bridesmaids can get more wear out of them (very useful when considering just how expensive it can be). There is, of course, a careful balancing act to make when considering the printed dress. Ultimately, the bridesmaid is there to help the bride on her big day, not show her up in a standout dress that makes the wedding gown appear insignificant. Fortunately, there are plenty of frocks that will work to complement the bride, as well as keep the crew happy. We've hunted down many different styles from maxis to minis, as well as off-the-shoulder and long-sleeved dresses that will serve any type of bride and her desired look for the day. So whether you've gone for a vintage style or something more modern, there's bound to be something that suits. Keep scrolling for 15 of the chicest printed bridesmaid dresses. A great alternative to black-and-white polka dots. We also love the back detail. This subtle print is chic yet won't upstage the bride. 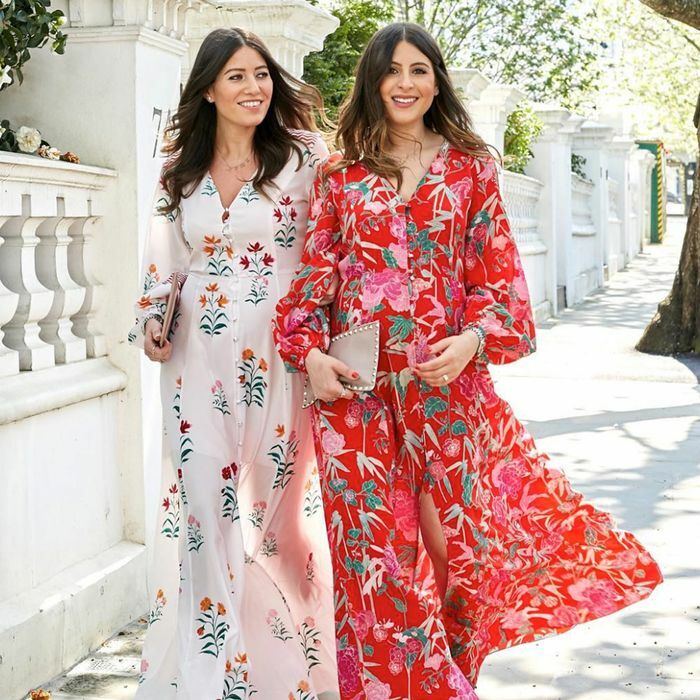 We've already spotted De La Vali on lots of influencers this wedding season. Ruffles and dainty gingham make the perfect combo for a summer wedding. Stripes make a great alternative to wedding florals when in silky fabrics. This will look great on your squad. This summery shade will definitely brighten up the wedding photos. This is one of many amazing bridesmaid's options from ASOS's occasion edit. This print also comes in a midi length to suit all your bridesmaid's body shapes. This is one your bridesmaids will get plenty of wear out of even after the big day. Lilac is the shade of the season and looks great next to white. Dress this up with strappy sandals and an elegant hair piece. Polka dots are perfect for a wedding. A great option for a modern wedding. This one has a definite "wow" factor. Add gold shoes to any of these and you've got the total look down.